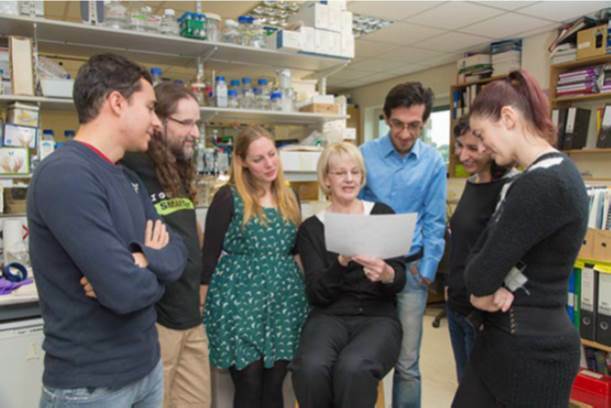 A talk by Professor Jean Beggs, Edinburgh’s queen of RNA. Jean Duthie Beggs CBE FRS is a distinguished British geneticist. She is the Royal Society Darwin Trust Professor in the Wellcome Trust Centre for Cell Biology at the University of Edinburgh. She was elected a Fellow of the Royal Society in 1998. She was the Royal Society of Edinburgh Vice President for Life Sciences 2009-2012 and this afternoon she will talk about her pioneering work in molecular biology. You’ve heard of DNA, now come and hear of Jeans’ latest research on RNA splicing. Jean is genuinely a ground breaking and innovative scientist, but remains a down-to-earth and approachable woman. Free for U3A members, £2 non members. Penicuik Town Hall has disabled access.